These are simple, refined and equally at home in an urban setting as a country one. 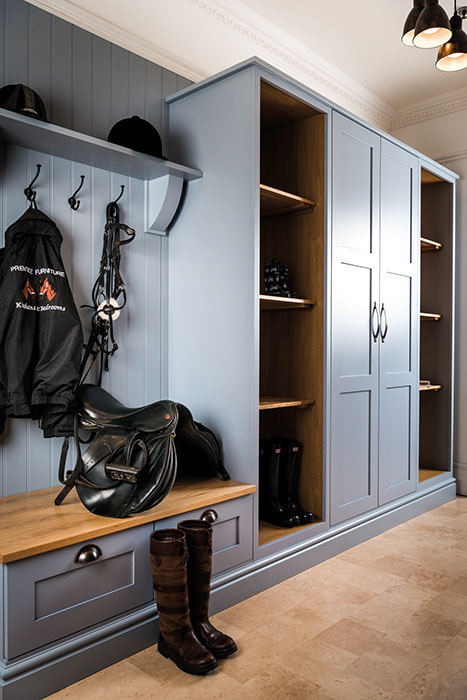 We offer a wide range of cabinets, standard door options, intricate mantle shelves and hand crafted furniture. 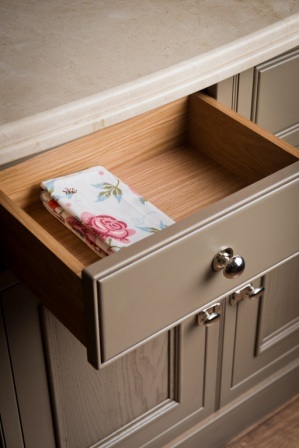 Every kitchen is hand crafted from scratch and traditional features like solid oak dovetailed draws are available. 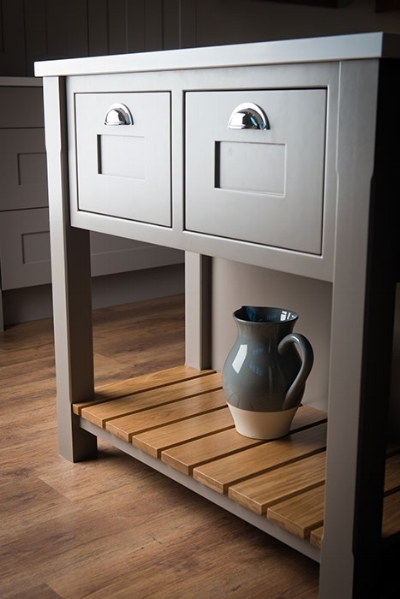 We can also have special units built to suit a particular space or purpose. 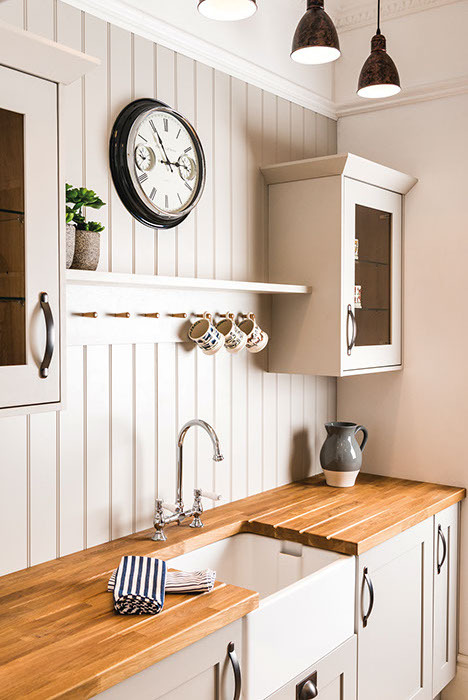 Your utility room can be made to match with seating and storage for shoes and coats, tongue and groove panelling complete the country look. 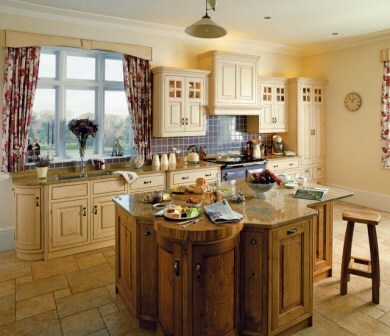 The choice is yours as to whether you want your shaker style kitchen to be painted or wood, or even a mixture of both. 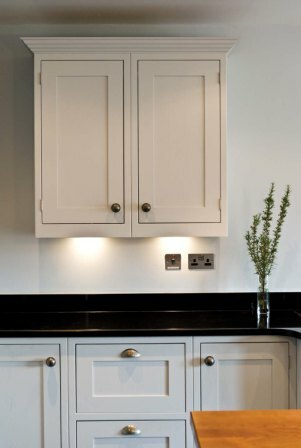 Looking for a more timeless traditional kitchen, then look no further….with beautiful period detailing in the panels and mantles. 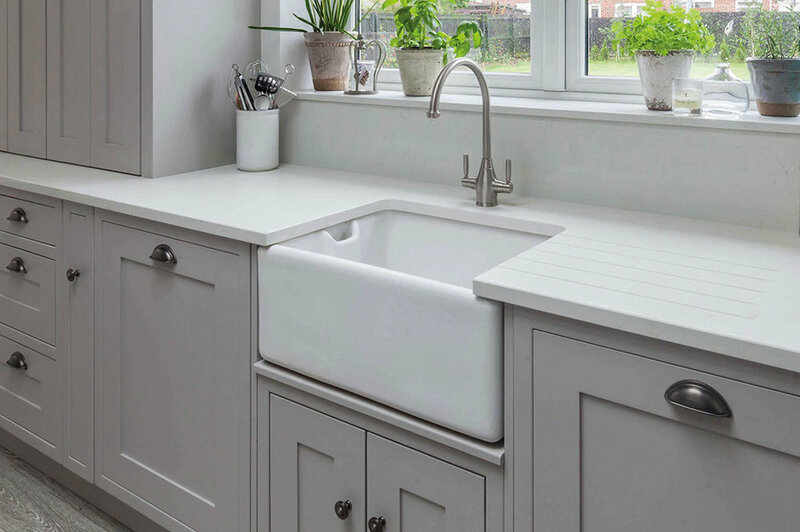 We also have various in-frame versions of the shaker kitchen, this is where the door in enveloped by a frame, and is a different style to the traditional kitchen door.